Romeo Langford is bouncing to the NBA – as he should. 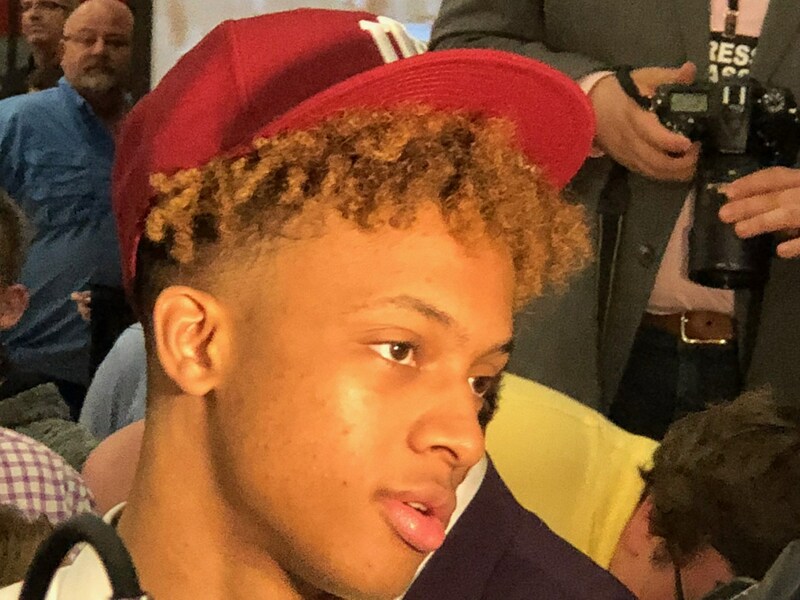 Romeo Langford is opting to leave Indiana University, like all college students will at some point. Some leave with degrees, some with masters and doctorates, others without degrees at all, but every student will leave eventually. For Langford, that time is now because millions of dollars await him as a first round pick in the upcoming NBA Draft. Sure, he could stick around for another year or two, refine his game, and take classes that might one day earn him a degree. He would have a great time like most of us did at Indiana. He would also delay his acquisition of great wealth. If Langford is selected at the level where he is currently graded (11th overall), based upon what the 11th overall pick in the 2018 draft signed for, he will earn $3,375,360 as a rookie, and $3,952,920 in his second year. That money is guaranteed. The following two years, the team that drafts Langford will have an option to pay him a total of $9.6 million. I loved my college years, and wouldn’t trade them for anything. Well, except $7.3 million guaranteed. Blaming Langford for agreeing to get immediately richer than hell for doing what he loves is ridiculous. To say or tweet he would be better off if he waited another is insane. If you would stay, you’re a better person than I.
Indiana University served Langford well as the institution where he got wiser and improved as a player, and Langford did what he could for IU despite a thumb that requires surgery and a back tweaked during the Big 10 Tournament game against Ohio State that kept him out of the NIT. At a university that functions correctly, the student isn’t there for the school and the school isn’t there for the student. They exist in harmony, and so it was with Langford and IU. On both sides, the account is paid in full. Good luck to a great kid as he becomes a very wealthy adult. This entry was posted in Featured Story, Indiana Basketball and tagged Indiana Basketball, Rome Langford on April 4, 2019 by Kent Sterling.